Removes excess water to keep rust and corrosion at bay. It lubricates and protects all mechanical components, helps prevent rust and keeps your garden tools in prime condition for longer. 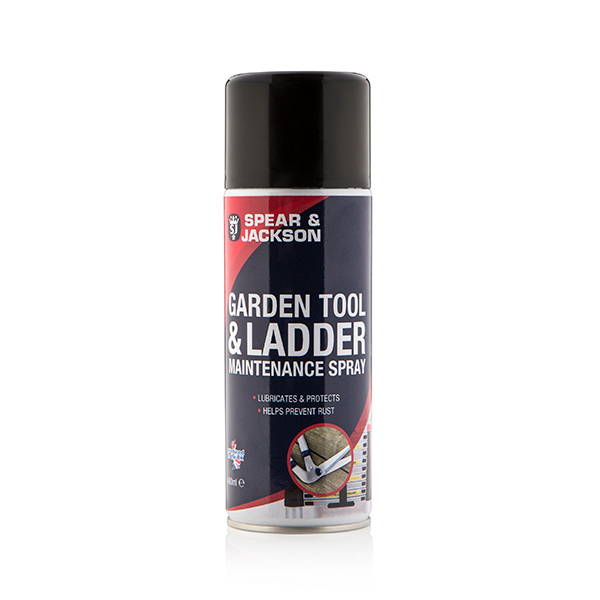 Whether you been trimming back some branches with your shears or using your ladder to paint your house, The Spear & Jackson Garden Tool and Ladder Maintenance Spray will help to keep your tools in tip top shape. The spray helps to lubricate tools that are becoming squeaky and stiff and protects them from rusting.